A natural storyteller and an intrepid reporter with a gift for making cutting-edge science understandable, Jonathan Weiner is one of the most distinguished popular-science writers in the country: his books have won the Pulitzer Prize, the National Book Critics Circle Award, and the Los Angeles Times Book Prize. His writing has appeared in The New Yorker, The New York Times Magazine, and Scientific American. He is the author of Long for This World: The Strange Science of Immortality; The Beak of the Finch; Time, Love, Memory, His Brother’s Keeper, The Next One Hundred Years, and Planet Earth. 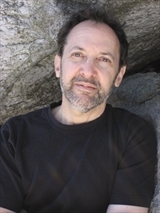 To find out more about Jonathan Weiner, visit his page at HarperCollins. Jonathan Weiner's newest book is a fast-paced and astonishing scientific adventure story: has the long-sought secret of eternal youth at last been found? In Long for This World, readers are taken on a whirlwind intellectual quest to find out. From Berkeley to the Bronx, from Cambridge University to Dante's tomb in Ravenna, Weiner meets the leading intellectuals in the field and delves into the mind-blowing science behind the latest research. He traces the centuries-old, fascinating history of the quest for longevity in art, science, and literature, from Gilgamesh to Shakespeare, Doctor Faustus to "The Curious Case of Benjamin Button." The New York Times has named Long for This World one of the 100 Notable Books of 2010. To find out more about Long for This World, visit www.longforthisworld.com. Copyright © Jonathan Weiner. All rights reserved.